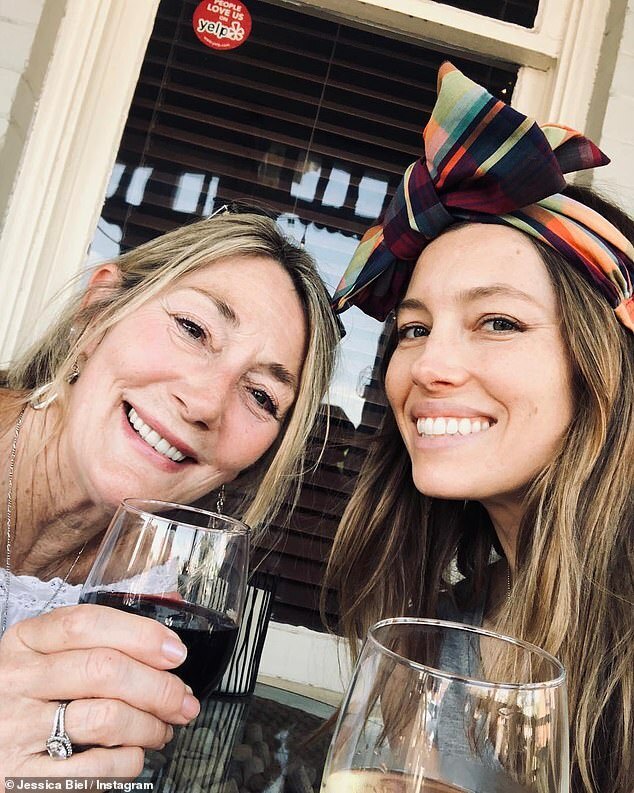 Jessica Biel enjoyed some quality time with her mother Kimberly on Friday. The ladies were spotted enjoying a walk through New York City alongside Jessica’s four-year-old son, Silas, who was dressed up as Black Panther. Kim held hands with her grandson while catching up with her daughter, 37, during their family stroll. Jessica was even matching her mother for the occasion, as both the women wore head-to-toe black. The Summer Catch actress rocked a black windbreaker jacket, Nike trousers, red shoes, and a beanie atop her flowing brunette locks. She carried her son’s black jacket in hand while rocking an eye-catching pair of metallic sunglasses. Kim exuded sophistication in a black trench coat, leggings, knee high boots, and a white scarf looped around her neck. It seems Jessica and Kim are close, and last year the actress posted a touching tribute to her mom in honor of Mother’s Day. ‘It took me almost thirty years to truly understand everything you sacrificed for me,’ Jessica wrote in the caption. ‘I am in awe of your wisdom and grace, and I hope I can emulate those ideals with my own child (without ending up in a straitjacket). Jessica is a proud mom of one. The actress and her husband Justin Timberlake welcomed son Silas into the world in 2015, three years after their wedding in Italy.